MarketSaw - 3D Movies, Gaming and Technology: 3D Geek Alert: AMC To Supply Podracer 3D Glasses, Darth Maul Face Painting And More! 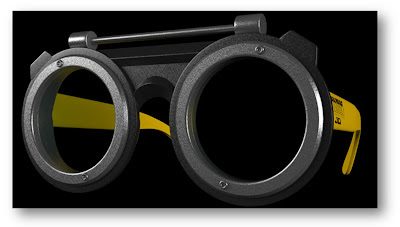 3D Geek Alert: AMC To Supply Podracer 3D Glasses, Darth Maul Face Painting And More! Clearly some deep thought has gone into the marketing of STAR WARS EPISODE I: THE PHANTOM MENACE 3D by not only Lucasfilm but the AMC Theater chain. What's a pure STAR WARS fan truly want to remember a special event? Collectibles! 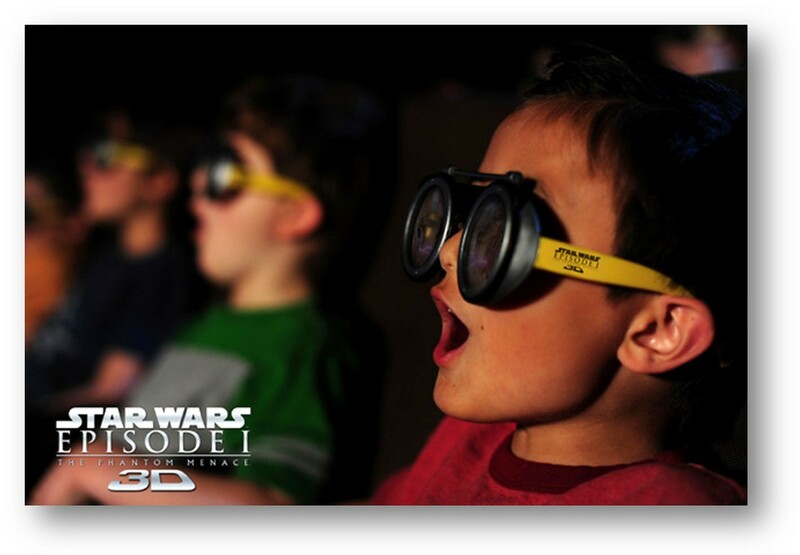 During opening weekend, all 3D ticket holders for MENACE will receive a new Hasbro STAR WARS Fighter Pod. While supplies last. - Darth Maul face painting! What does YOUR Sith look like? STAR WARS EPISODE I: THE PHANTOM MENACE 3D hyperdrives into theaters on February 10.